In 2014, the U.S. onshore oil industry faced a crisis. A rise in overseas production drove prices so low that most of the industry was operating at a loss. Many observers expected it to collapse, or at least shrink substantially. But that’s not what happened. Far-sighted U.S. shale producers saw that short-term risk hid a long-term opportunity. With prices down, weaker companies would go bankrupt, allowing competitors to buy their assets at discount prices. The major producers bet that they could weather the storm and come out bigger and stronger. And the risk-takers were right. Today, global oil prices are back up to around $50 a barrel and the United States is a net oil exporter. What happened to the U.S. oil industry is a classic case study in turning risk to your advantage. The kinds of multi-factor decisions involved are ones that will be increasingly familiar to CFOs in the future. Companies today are exposed to an ever-more-complex array of risks and uncertainties, which are only set to accelerate in the years to come. Whether driven by geopolitical events, volatile financial markets, technology developments, cybersecurity threats, data privacy concerns, or climate change, coping with accelerating change is no longer an advantage, but a necessity. In particular, businesses have more data than ever, but often they don’t have the full range of capabilities required to analyze that data and turn it into insights on risk mitigation and probability. Enterprises need someone to take the lead in breaking the data, and the risk management functions it informs, out of the siloes they sit in today. There is no one better placed than the modern CFO to take on this job — and no one with a more pressing need to make sure that job is done right. In a 2018 study by North Carolina State University and the American Institute of Certified Public Accountants, fewer than 20% of organizations said they successfully integrated their enterprise risk management (ERM) function with their strategic and business planning. More worryingly still, 65% of organizations said they had recently experienced an “operational surprise” arising from unanticipated risk. In the past, that might have been a tenable, even if less-than-ideal situation. But in a business environment that’s more complex and faster moving by the day, it’s no longer sustainable. Research by IDC, also from 2018, indicated that the volume of data available to businesses would grow more than five-fold by 2025, and the value of that data would increase. Simply by existing, this data creates a new risk factor for businesses. Even holding all other competitive variables constant — were that possible — enterprises that respond to the ubiquity and volume of data by developing market-leading analytics capabilities will gain an edge over those that don’t. Nor is it possible to hold other variables constant. Today’s market is entering a state of flux that’s likely to persist for at least a generation. Emerging technologies such as blockchain, the internet of things, artificial intelligence, and others are disrupting business models across all sectors. To cope with this disruption, enterprises must be able to capture, integrate, and analyze data from all touchpoints and use the insights gained to spot developing risks and opportunities, adjust strategies and business models accordingly, and optimize operations in real time to meet them. Often, we’re told that enterprises find it difficult to respond to these challenges because there is a shortage of talent that can advance data programs within the organization. That is universally true. In the United States, the economy needs the economy 150,000 more skilled data analytics professionals than are available. In Europe, that figure is 420,000. In Asia-Pacific, it’s one million. Even more reason, then, for enterprises to make use of the CFO and finance function. Deeply skilled at analyzing complex data, finance and accounting professionals stand ready and able to help the enterprise manage complex risk — today. Enterprises that realize this, in which the CFO takes the lead in developing an integrated ERM approach, will enjoy a competitive advantage over their rivals. The good news is that some of the very technologies creating this complexity are also giving CFOs and their teams the tools and capacity to master that complexity. Increasingly, automation is freeing finance professionals from repetitive and low-value-add tasks. According to a study by Accenture, by 2021 45% of the tasks carried out by finance workers today will be automated. In the same study, 76% of CFOs said the role of the finance team would expand from core accountancy-based functions to include advanced digital and data analysis tasks. This shift will be enabled — and the finance team empowered — by the increasing sophistication and availability of a wide range of data collation, analysis, and visualization tools. But for finance to be effective in this role, it needs more than new technology. It needs organizations to change the way they view risk. As leaders within their organizations, CFOs must push for the adoption of integrated ERM processes, including integrated reporting. Such reporting takes into account not just financials, but also factors ranging from integrity of supply chains, to the value of the brand, the potential for disruption by new technology, the need to extract value from data while respecting consumer privacy, and so on. The modern enterprise badly needs a leader with an overview of the business, who understands data modeling, risk, and how they relate to business strategy and performance. In most companies, the person best placed — by virtue of experience and the range of skills in his or her team — is the CFO. Although the board must oversee the task of integrating risk management, enterprises in which the CFO leads the risk-management function and drives an organization-wide approach to risk management will gain a competitive advantage. They will be better able to see opportunity where others only see risk or nothing at all, and react quickly with a plan for the long term. Such enterprises will also be better placed to attract the next generation of finance talent, which has grown up in a fast-paced, data-rich world and will pursue accounting only if they continue to see it as a gateway to an exciting career in business. 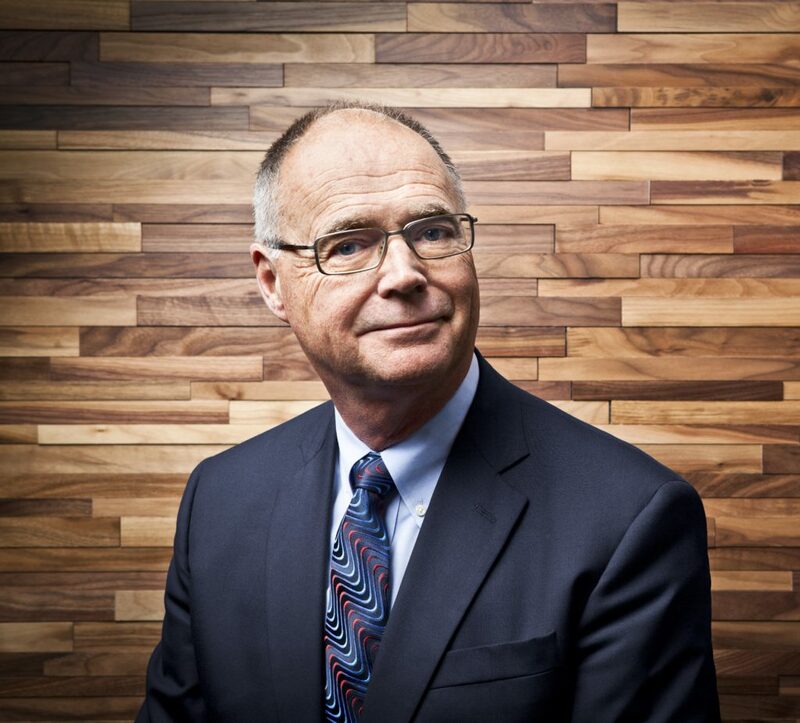 Kevin Dancey is CEO of the International Federation of Accountants (IFAC), a global organization dedicated to strengthening the accountancy profession and contributing to the development of strong international economies.